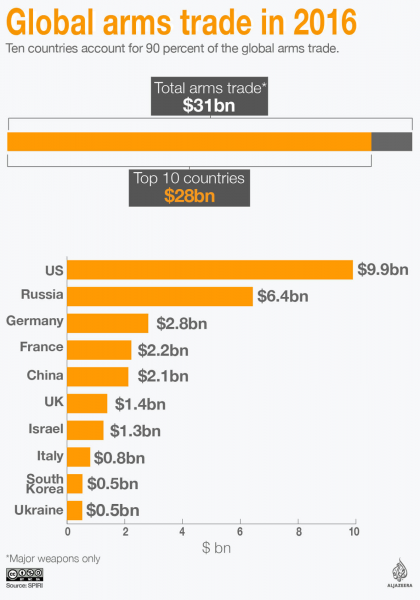 The UK are responsible for $1.4 billion in arms sales in 2016 and the same year were guilty of approving sales to 20 countries on its own list of human rights violators. Banksy unveils his latest piece in protest to the London Arms Fair, which has invited over 34,000 people to London to view and buy weapons. 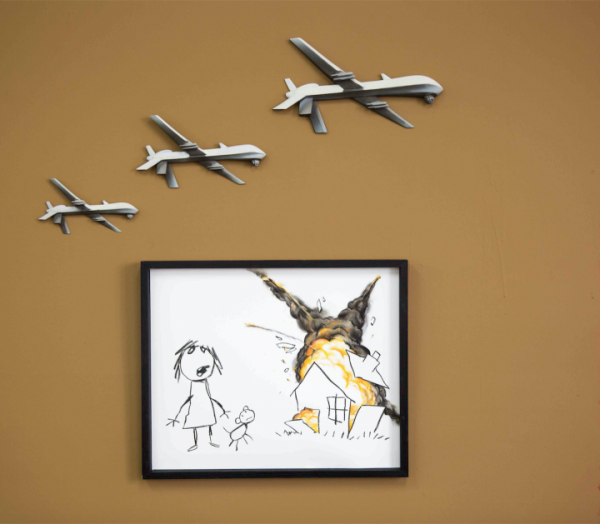 The art entitled “Civilian Drone Strike.” depicts a childlike drawing of a girl and a dog, next to a burning building, with 3 planes flying above. 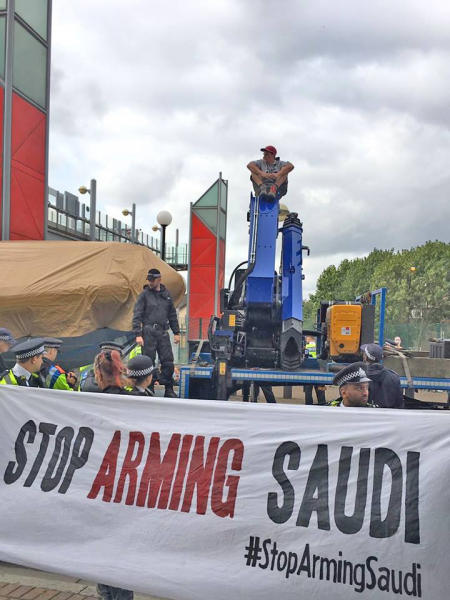 The piece was created for Art the Arms Fair, an event organized by local activists to oppose one of the world’s largest arms fairs which will take place in London this week. The arms fair which will take place from the 12th-15th of this month and was put together by Defense & Security Equipment International (DSEI). It is thought it will bring in 34,000 attendants, with a guestlist of around 3,000 VIP delegates. The VIP list includes the UK defence minister Michael Fallon and military officials from Egypt, Qatar, Kenya, Bahrain, Saudi Arabia and Israel. 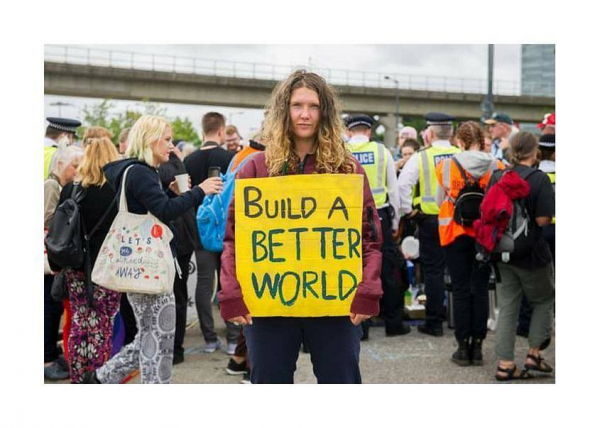 Campaign Against Arms Trade (CAAT) a UK-based organisation working to end the international arms trade also put on a colourful demonstrations last week which led to massive disruptions in the fair and the arrest of over 100 peaceful protesters. 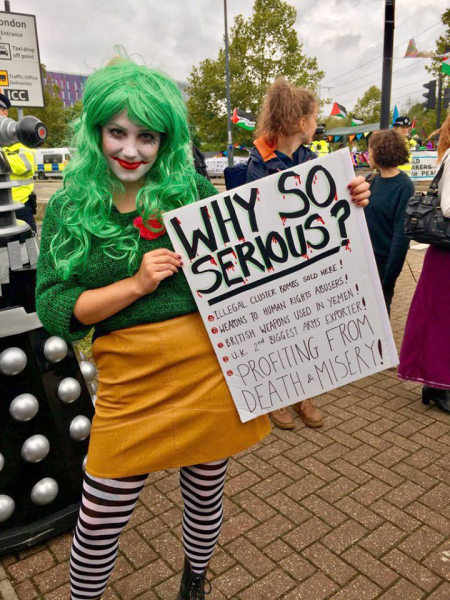 The UK are responsible for $1.4 billion in arms sales in 2016 and the same year were guilty of approving sales to 20 countries on its own list of human rights violators. This list includes Bahrain, Saudi Arabia and Israel. All countries which will have representatives at this years arms fair. You can get involved by visiting Campaign Against Arms Trade and/or visiting the Art the Arms Fair which will be coinciding with the arms fair on the 12th-15th in London. You will be able to view the Banksy and many other politically motivated pieces at the fair. If you agree that this message should have a platform please share this article with your friends and family.
? Here’s Six Of The World’s Smallest Countries That You Never Knew Existed US Media Silent About Climate Change As Successive Natural Disasters Hit The Globe ?